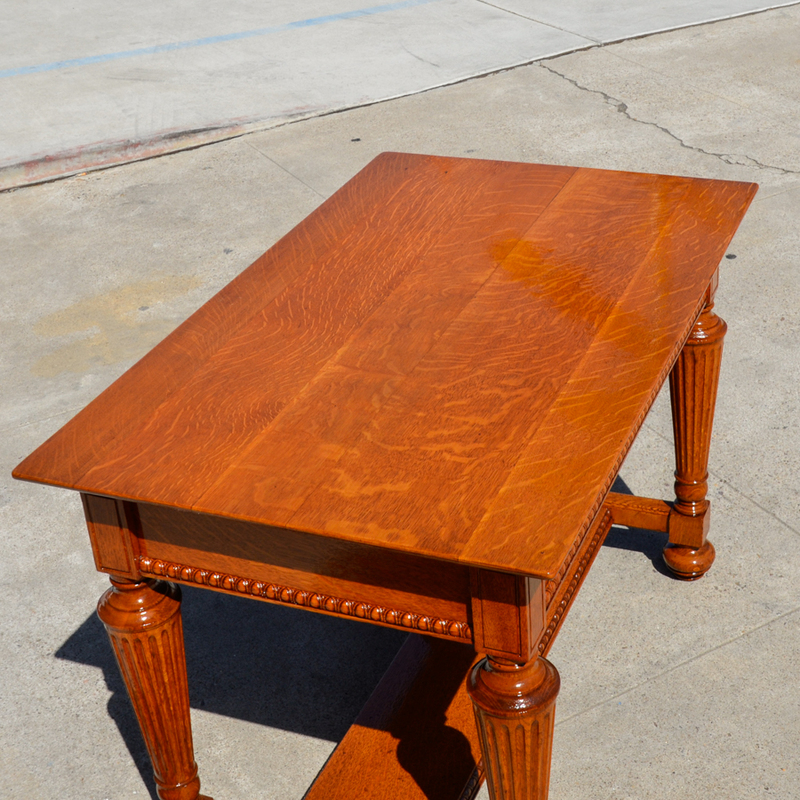 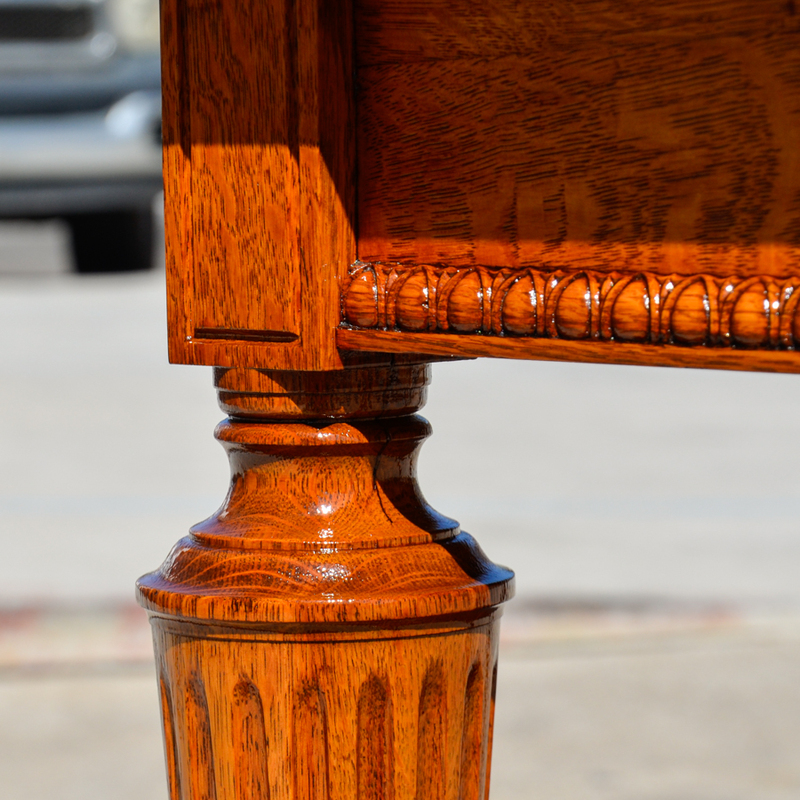 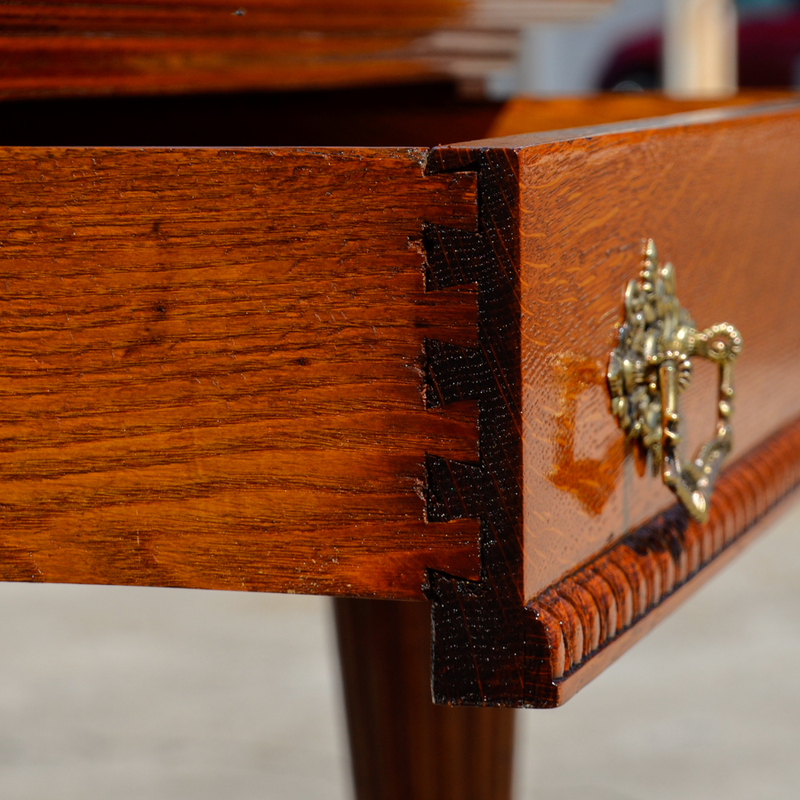 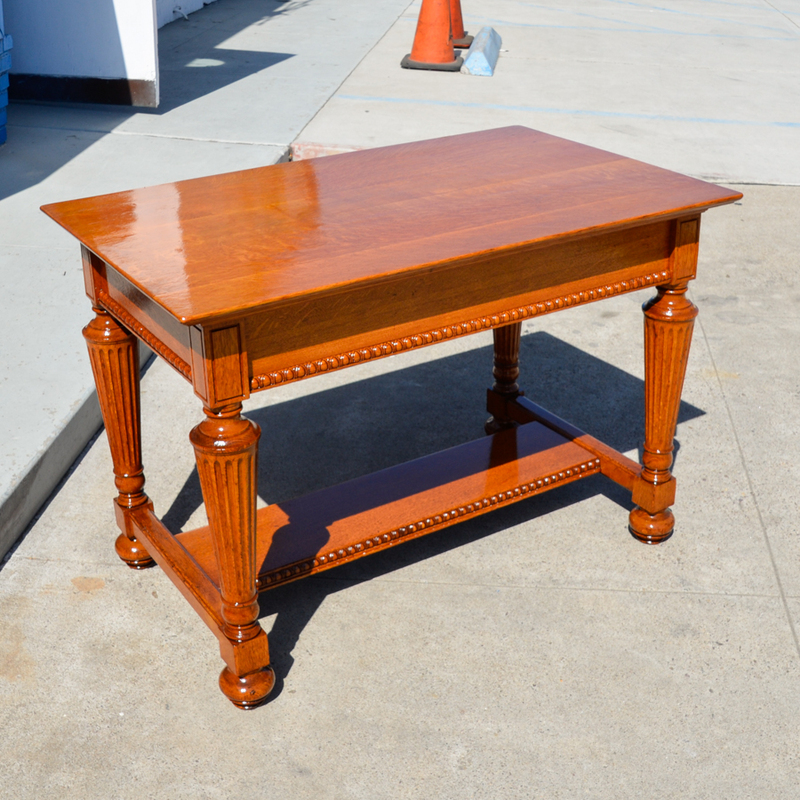 Behold Mateys, a beautiful turn of the century white oak Captains Cabin table. 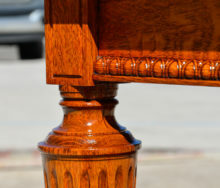 Beautifully restored by the Maidhof bros Crew.. 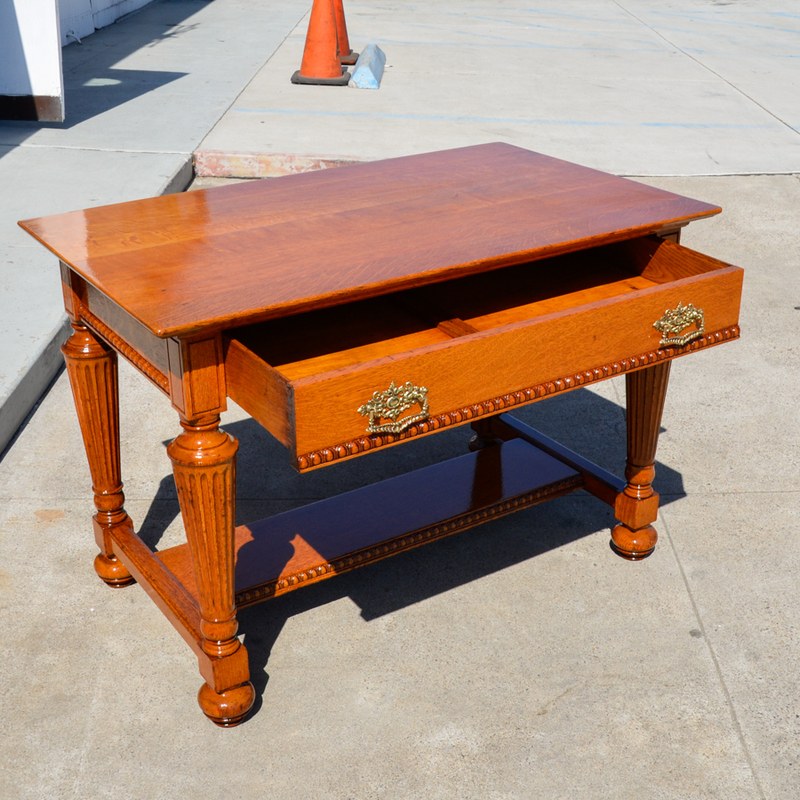 Measures 42″ long x 26″ deep x 29″ tall. 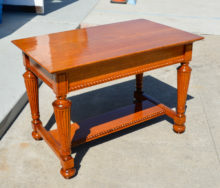 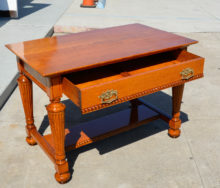 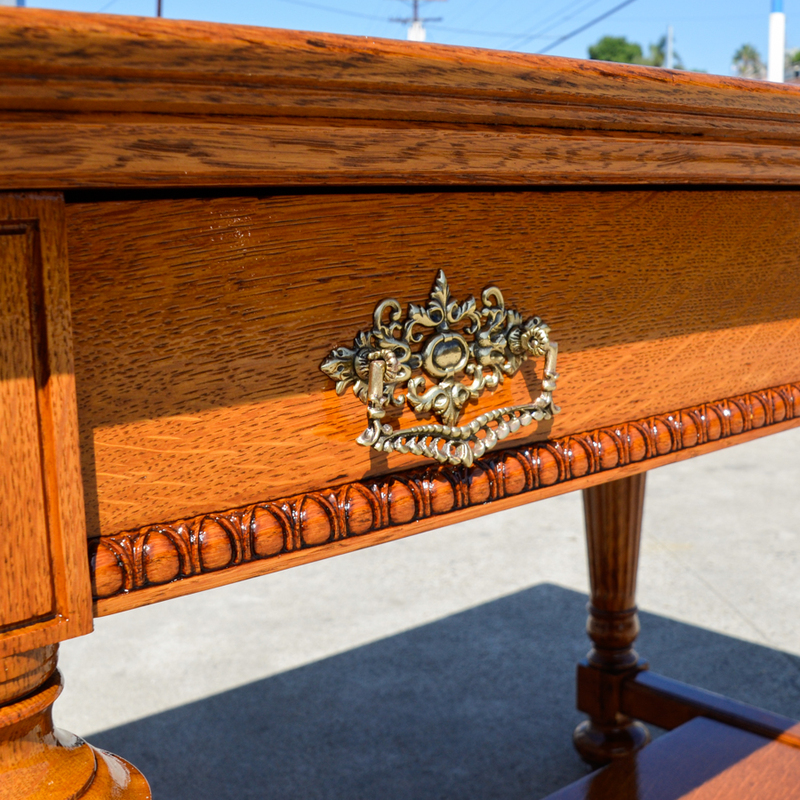 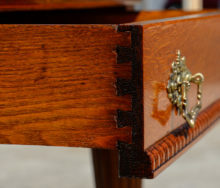 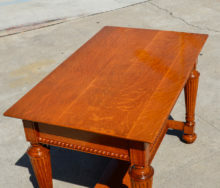 Could be used as a entry way table, two person dining table or a small writing desk as it has a large drawer in the front along with a foot rest. 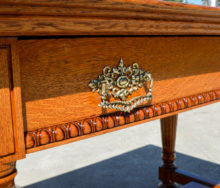 A timeless heirloom quality piece of furniture.